We are extremely fortunate in Australia to have access to the highest quality of standardised medical-grade herbal medicines in the form of tinctures, tablets and powders. Suitable for both acute and chronic conditions, herbal medicine is individually prescribed and dispended based on the presenting symptoms and the underlying causes of an individual’s presenting health concern or imbalance. When used correctly and safely, herbal medicines are extremely powerful. Whilst it has traditionally relied on observation and experimentation (‘traditional knowledge’), the establishment of fields such as botany, pharmacology and toxicology has allowed us to understand the specific chemistry and active-constituent profiles of plants. The conjunction of traditional knowledge with scientific validation complement each other incredibly and continue to strengthen the use of herbal medicines. 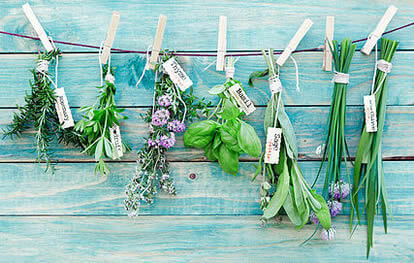 They real beauty of herbal medicine in clinic is that with access to a large tincture-based herbal dispensary, I am able to create tonics for clients on an individual basis that treat a variety of symptoms or body systems, and are therefore much more cost effective than taking a bucket-load of supplements or individual herbs separately. The chemical complexity of plants and the synergy of mixing different herbal medicines in a tonic or tablet formulation allows me to treat the root cause of imbalance or ‘dis-ease’, whether it be related to impaired digestion, depression, an over-active nervous system or stress response, hormonal imbalance, insomnia or anxiety. They are also invaluable for optimising energy levels, cognitive function, performance and smoothly transitioning into menopause. Most of them taste pretty awful! But as I say to all of my clients, trust me – it’s worth it. Once you start reaping the almost immediate benefits, the taste is the last thing you will care about.